A short but comprehensive tome, Tea: The Drink that Changed the World provides a sweeping overview of tea’s historic and geographic roots, from the ancient plant in Yunnan, China to the current crops in Kenya. Martin, a writer and botanical illustrator, starts with a beginner’s guide to tea, its biology and a concise rendition of how it is grown, harvested and processed before presenting an account of tea in history, seamlessly working through Chinese dynasties and moving to other tea-growing parts of the world as time progresses and tea spreads. The earliest parts of tea’s history are littered with myths and legends until key historical figures such as Lu Yu (China), Sen Rikyu (Japan) and Catherine of Braganza (Portugal and England) appear in the timeline, their fame credited for tea’s popularity in their respective countries. From about the 18th century, tea becomes more than just a beverage—it begins to take on financial and political ramifications. Basically the final third of the book is on how terrible England is: the devastating fallout of the two Opium Wars between England and China, how unfair English taxation led to the Boston ‘tea party’ incident and its contribution to the American Revolution and England’s terrible record in India and Kenya while setting up tea plantations in those countries. Martin provides an unflinching account of these events and writes with clarity on how tea changed the world at those times. Much of the laborious detail is left out (if you’re keen for those, read John Griffiths’ namesake book), making this a great, easy-to-read primer for those who might want to learn more about tea in an economic and/or political context. There’s one major quibble I have with this book, and it’s the confusion of oxidation and fermentation, two discrete processing terms which Martin uses interchangeably. It’s a mistake that occurs in many other books so in some senses it is forgivable, but I would have expected a writer of her background to have a better understanding of plant chemistry. 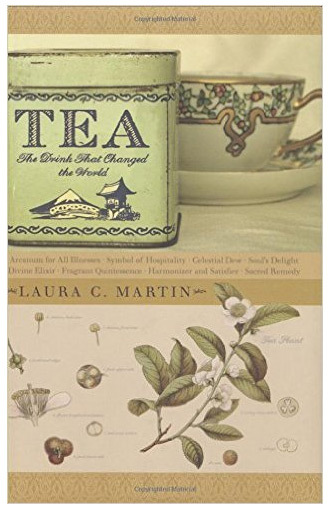 The only other aspect I believe might have made the book a better fit for the author is if instead of focusing on how tea changed the world, Martin might have been able to play to her strengths and write more on the role of tea gardens and estates in shaping religion, culture, agriculture and the economy of various geographic regions. She would’ve been able to use much of the material to provide context and could have avoided unfortunate comparisons with Griffiths’ book, which is superior in detail but lacks Martin’s readability. Verdict: The real strength of Martin’s treatise is its logical and seamless structure paired with her finesse as a writer. This is a perfect book for those new to tea and tea history (just keep in mind the difference between oxidation and fermentation).